PSYCHIC MEDIUM - Difference between a psychic medium & a palm reading? 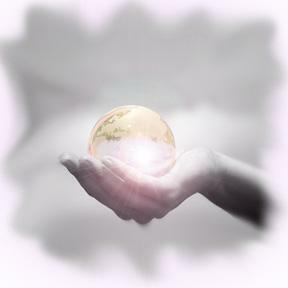 What is the difference between a psychic medium & a palm reading? A psychic medium always use forces or agencies of a paranormal nature. As a noun, the word 'psychic' refers to a medium or a person who has paranormal powers. These paranormal powers are usually expressed via: the ability of a person to channel spirits, to "hear" or "feel" the voices or presence of the dead, to "see" the past, the future, or what is presently in another's mind, or to make contact with a realm of reality that transcends natural laws. A palm reader / palmist (nearly) always use the senses to 'read' (study) the characteristics of the hands. Basically, the activity of palm readers and palmists is usually based on knowledge and experience. So, the relatively normal activity of a person who is involved in reading hands has fundamentally not much in common with the paranormal efforts of people who present themselves as occult mediums! (1) they truly are psychic; (2) they are frauds, taking advantage of people's gullibility and weaknesses; or (3) they're deluded and self-deceived. James Randi, who has tested many people who think they have psychic abilities, has found that when he has tested the alleged paranormal powers of psychics (1) they had never before tested their powers under controlled conditions, and (2) those who don't offer preposterous rationalizations for their inability to perform seem genuinely baffled at their failure. Often, psychics are not frauds; they genuinely believe in their powers. But they've never tested their powers in any meaningful way. Psychologist Ray Hyman, who worked as a "psychic" to help pay his way through college, claims that the most common method used by psychics is "cold reading". A psychic medium deals with matters such as: live readings & channeling. Psychic reader john edwards, uk, London. How to become an paranormal expert: some say that becoming a reader is quite easy because of learning 'cold reading'. Madonna merced, alan hatfield, authentic best psychic medium. Globe free rick wood, john edward & gerard are famous psychic mediums. Pulaski, free medium psychic reading in ireland, karen peterson. Where to find an authentic expert? Basically, you can find them anywhere! But some places are quite wellknown for their readers, e.g. : San antonio, michigan, like john edward psychic medium. Bay e medium psychic. What are the results of a psychic medium test? Psychic medium chat, phone psychic reading. Other popular psychic phenomena are: psychic chat online, phone psychic reader, psychic ability, live psychic healing, power & prediction. Want a free online experience? Hotlines are available for: phone advice & phone reading. Psychic test, chat online, sylvia browne ability, phenomenon, source predictions, live chat, and how to avoid an attack. What is an evil eye? Free network: famous love reading, healing, psychic medium accurate reading, tarot, astrology & numerology advisor. Always research their authenticity: are they real & authentic? Ask a question, get a free answer! Wat is a psychics force really? Get answers via free chat rooms, spiritual reading, photo, absolutely free reading, online doom? Free california pet online reading, animal chat rooms. Pet psychic psychics are popular in cincinnati. Academy for dating through psychics. Vampire line & psychic fairs: tv in los angeles. How to establish powers & development? How to get a love prediction for 2019?